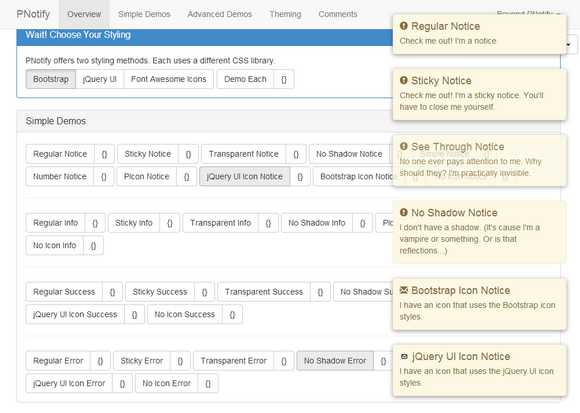 PNotify uses either Bootstrap or jQuery UI for styling, which means it is fully and easily themeable. Try out some of the readymade themes using the selector in the top right corner of this page. It works in all major browsers and provides a consistent interface. It is tested thoroughly for consistency. Nice plugin.Recently i am working on similar plugin.